The Rolling Stones at Hyde Park, 1969: (L to R) Charlie Watts, Mick Taylor, Mick Jagger, Keith Richards and Bill Wyman. Two days after Brian Jones’s death, The Rolling Stones (and Marianne Faithful) paid tribute to him with a free concert on Saturday, July 5, 1969, at Hyde Park in London. Mick Taylor, the pre-determined replacement for Jones, played for the first time with new bandmates Mick Jagger, Keith Richards, Charlie Watts and Bill Wyman in front of 250,ooo at Hyde Park. 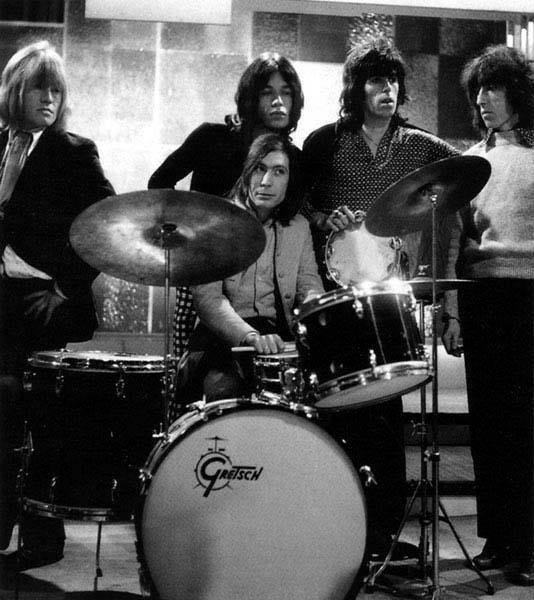 In June, 1969, Brian Jones (left) was kicked out of the band he created and watched as The Rolling Stones moved on with Mick Taylor. 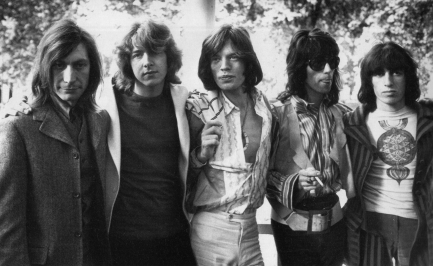 Singer Mick Jagger, guitarist Keith Richards and drummer Charlie Watts of The Rolling Stones visited Brian Jones at his home on Sunday, June 8, 1969, with news that he was being replaced in the band by 21-year-old guitarist Mick Taylor. The move came while the band was in the middle of the Let It Bleed album, upon which Jones adds a memorable slide guitar to Keith’s ‘You Got The Silver,’ though his last significant musical contributions had appeared on Their Satanic Majesties Request in 1967 and Beggar’s Banquet in 1968. It had been nearly seven years since Jones first debuted the band as “The Rollin’ Stones” in July 1962, and it would be another six years before Taylor was replaced in the group by Ronnie Wood in 1975.